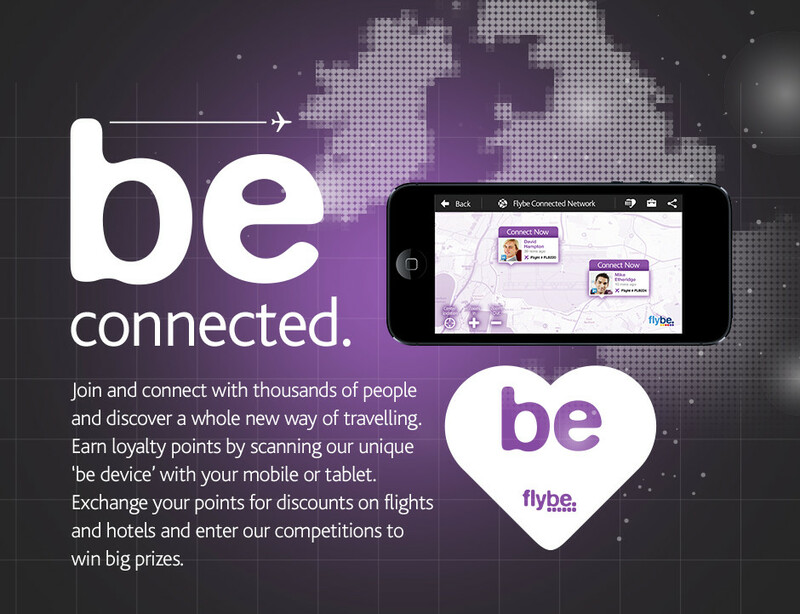 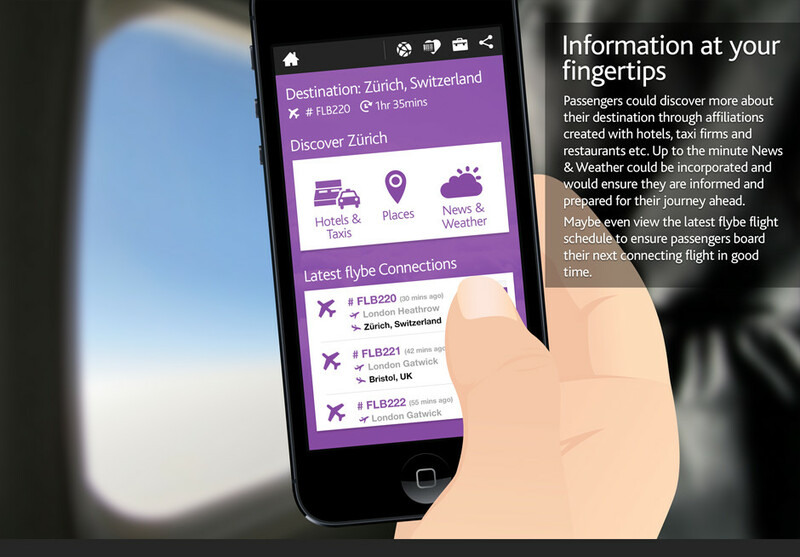 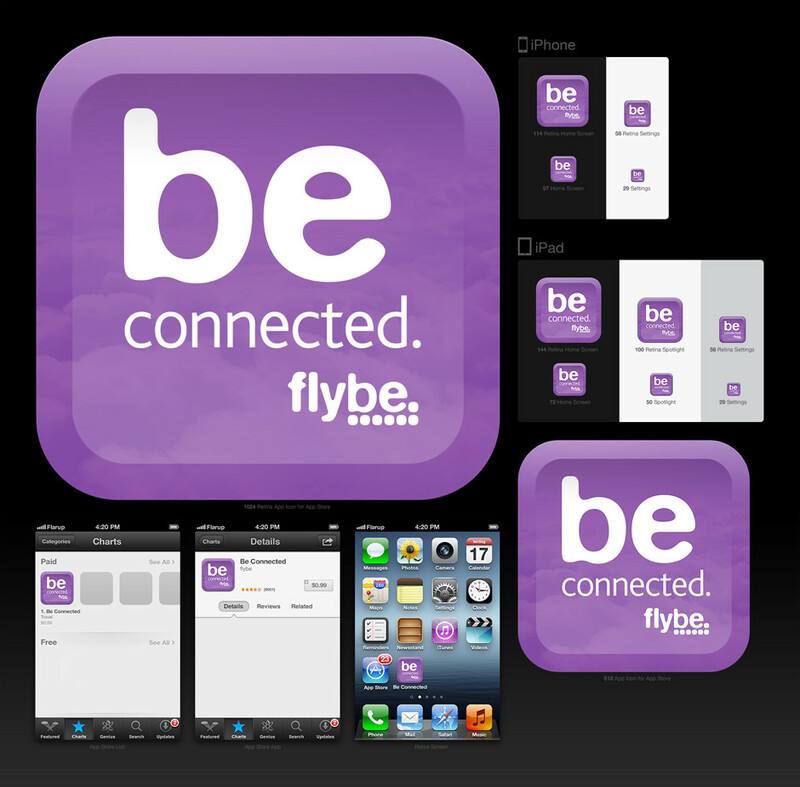 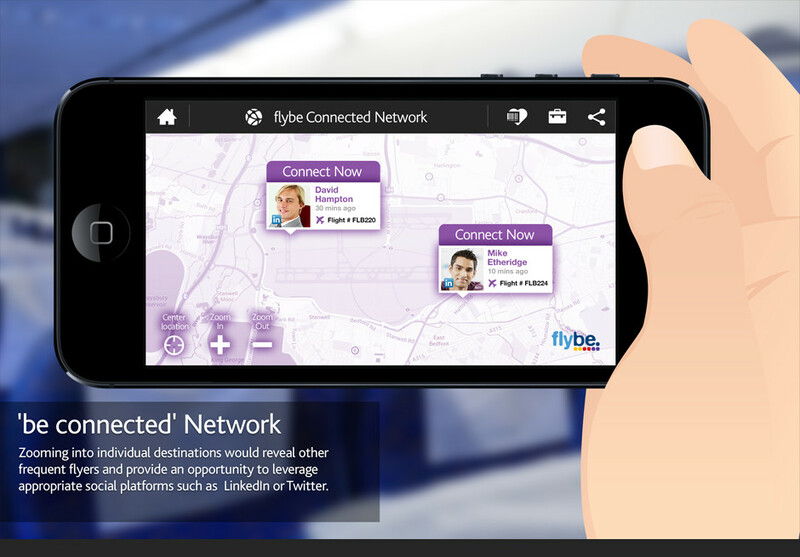 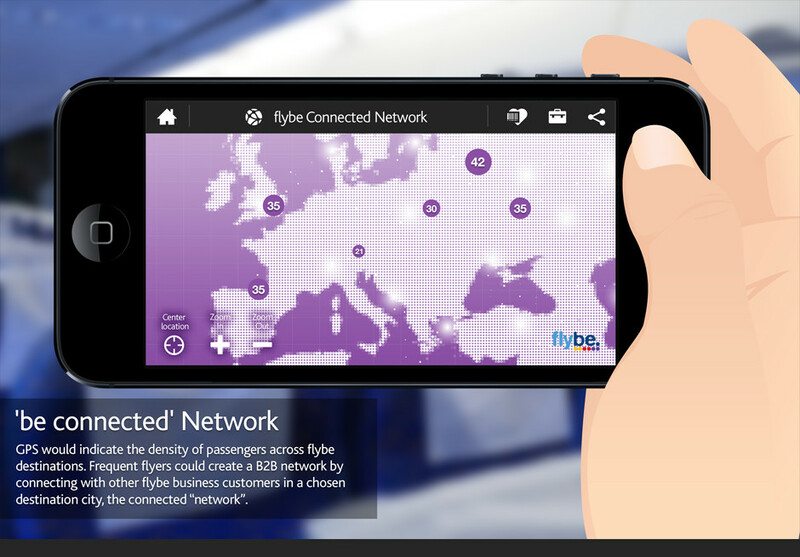 Whilst working for Shoot the Moon, I was tasked with the thinking behind a digital B2B opportunity for Flybe. 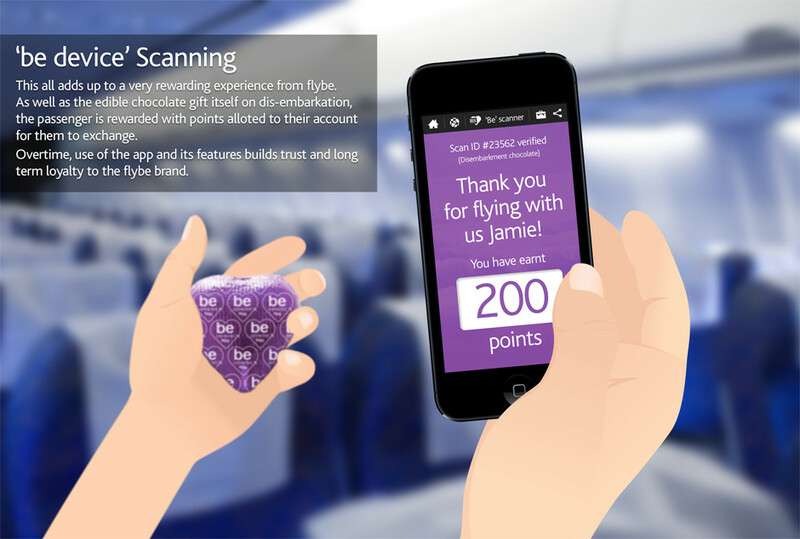 Upon disembarkation, B2B customers are given a chocolate as thank you for flying. 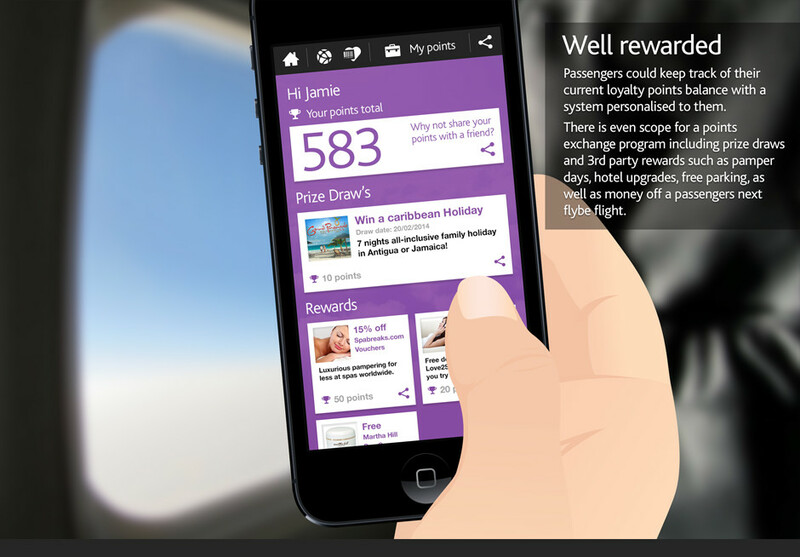 I came up with a novel solution to tie this up with an app that keeps a track of loyalty points, with the chocolate device being a key contributor to the users overall points total. 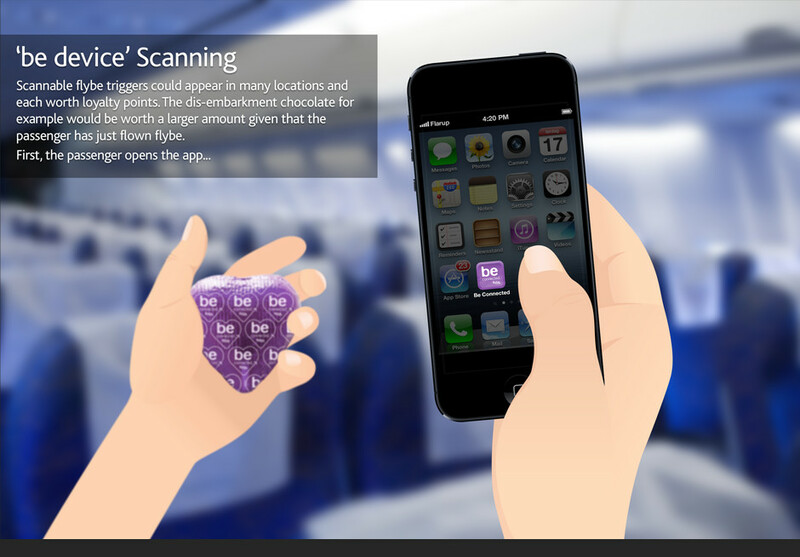 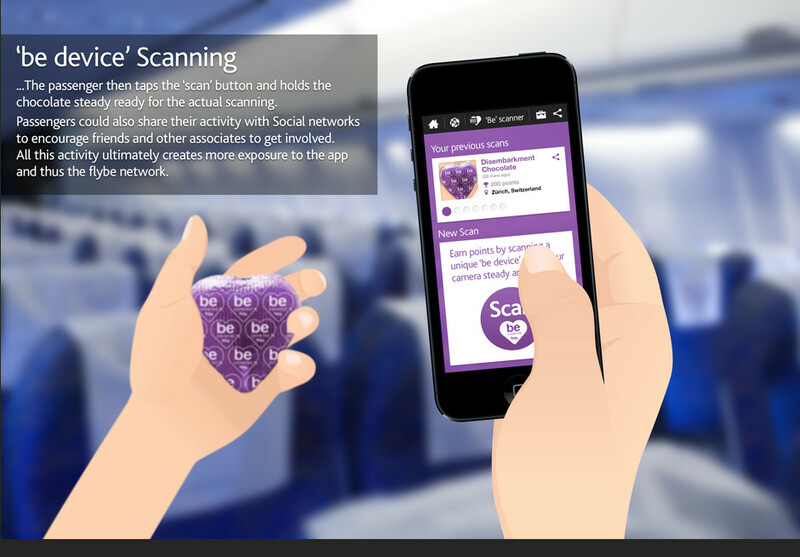 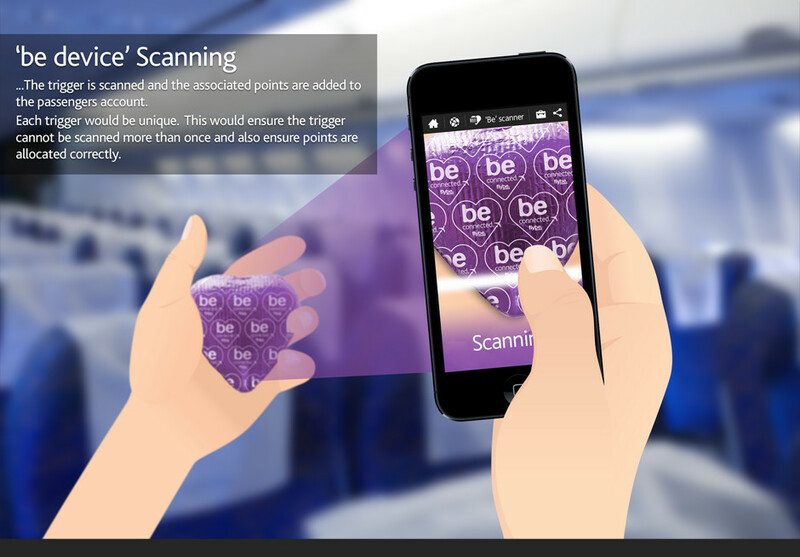 A scanning feature for ‘be connected’ devices, that would key off the print, similar to how Layar/Blippar works. 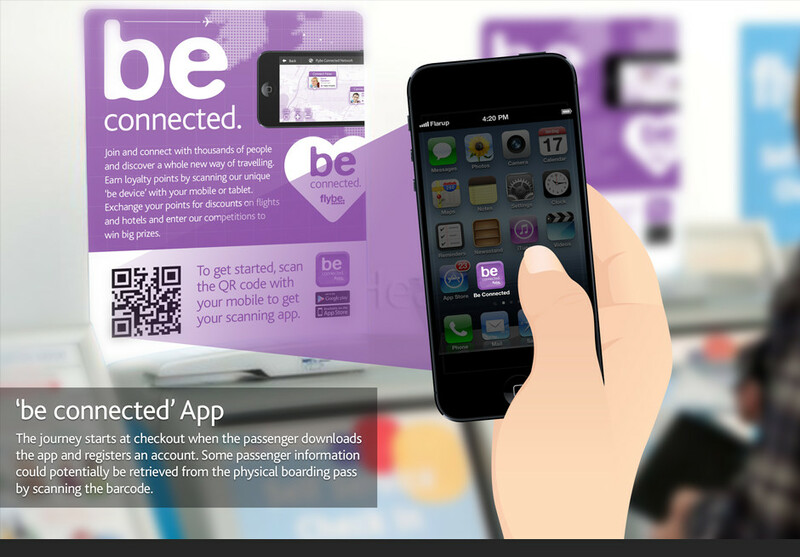 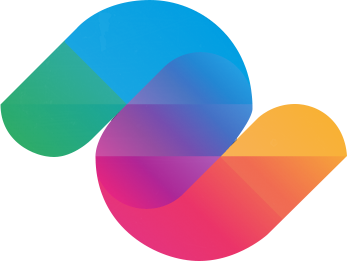 Other features include: B2B connections, connecting flight updates, destination weather/sightseeing and loyalty account area.